I came to America from Cuba in 1992 to have more opportunities for advancement. 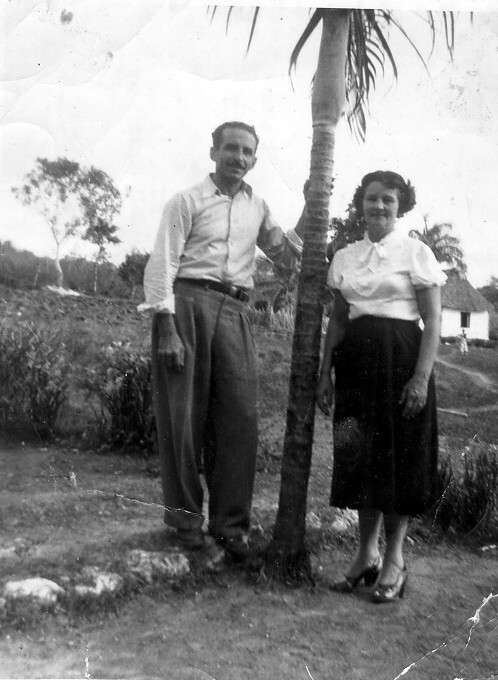 My ancestors were farmers and owned many acres of land until the revolution started and Castro confiscated everything, so they moved to Havana, where I was born. Here is a picture of my grandparents on my father's side. On my mother’s side, all my cousins played music as a hobby. I used to play with them since I was about six years old. When we got together, there was only one guitar, so I had to learn to play the guitar as a right-handed, even though I am left-handed. Later on, at the National School of Arts in Havana, I continued playing right-handed and still do today. I have been working as an Engineer since my early 20’s. Engineering is a passion for me. I love music and being an Engineer allows me to be part of many interesting and meaningful music projects, such as Home: Where Everyone Is Welcome - even a Cuban immigrant like me!